Are you in the market to buy a new home? Have you got an incredible story behind needing to move? Are you desperately trying to find the perfect home and navigate through the tough housing market? 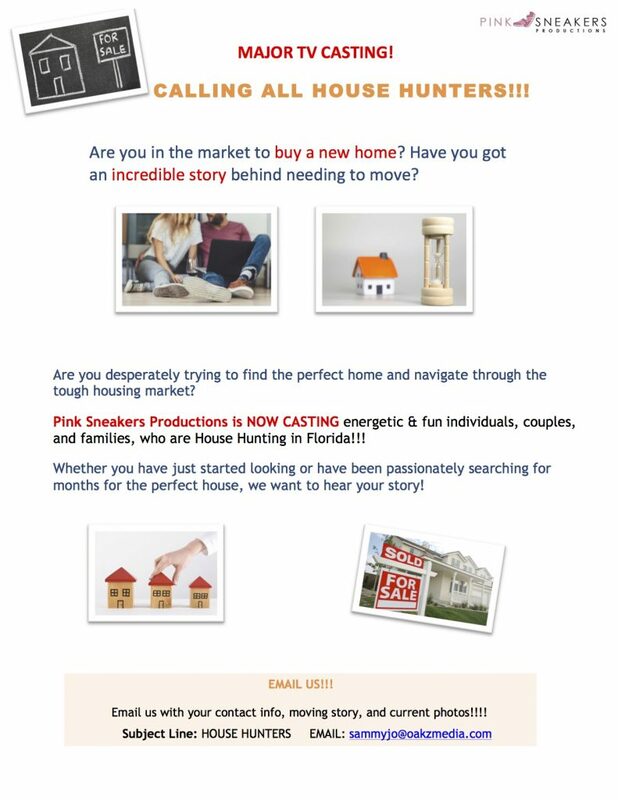 Pink Sneakers Productions is NOW CASTING energetic & fun individuals, couples, and families, who are House Hunting in Florida. Whether you have just started looking or have been passionately searching for months for the perfect house, we want to hear your story! Email us with your contact info, moving story, and current photos!